This time last year, Royal & SunAlliance (R&SA) was dominating conversations in the City's wine bars. A poor set of 2002 results followed the announcement of a refocusing strategy, which involved divesting several of the group's international businesses. The ratings agencies put the company under review prompting many brokers to harbour grave concerns about the future of one of the UK's best-loved companies. So, one year on, what has changed? Confidence in R&SA grew over the course of 2003, as the ratings downgrades failed to materialise and the divestment programme ran to plan. Many were surprised when the company announced a £960m rights issue to top up reserves in September, but it even managed to pull that off, albeit at a hefty discount to its share price. However, the R&SA which reported its 2003 results last week is a shadow of its former self. The £2bn drop in net premiums written illustrates how much smaller the company now is. In this set of results, the performance of its UK operations is a high point, turning last year's underwriting loss into a 2003 profit. 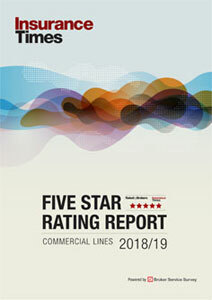 UK commercial continues to go from strength to strength, but with a combined operating ratio now closer to 90% than 100%, it may only be a matter of time until UK brokers start pressuring the company for better rates. 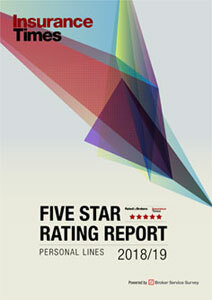 UK personal also showed improvement, driven by a more selective approach by R&SA to the business it writes. But the situation is not so bright at More Th>n, R&SA's direct personal lines operation. With its combined ratio still hovering above 100%, questions remain about its future viability. In recognition of this effort, all R&SA UK staff are to receive a 10% salary bonus. However, R&SA UK is part of a larger group, and one whose US business is continuing to pose significant problems. With group chief executive Andy Haste admitting that "the drag from the discontinued lines in run-off will continue to impact our results for some time"- R&SA is not out of the woods yet.